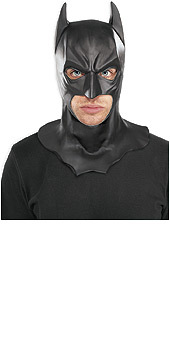 *Full overhead latex mask with cowl and moulded pointy ears. Great collectors piece, as well as functional batman mask. NB.Cowl length is shorter than appears in this image.